Being a two timer [two timing! … what else to use here?] New Yorker, for couple of months — I fell in love with New York’s life style. Many of the city’s neighborhoods and landmarks are shown in those romance movies I usually watch. After attending two of the concerts in Madison Square Garden, you know, what it felt — truly different. And … New York’s restaurants? Top of the world! Movies starting from An Affair to Remember (1957) to How to Loose a Guy in Ten Days (2006) had settings in NYC. Even last night, when I was watching No Reservation by Catherine Zeta-Jones – it was kinda like NYC is everywhere. There is no denying fact that I don’t dig her movies and .. she does have a personality. Back to business … after watching Felicity (1998) episodes in WB channel in those way back days in Georgia; I haven’t thought of NYC pretty much until I started watching Gossip Girl; a TV show which talks about sophisticated lifestyles of some teenage boys ‘n girls residing in Upper East Side of New York City. The best part – first episode was made available as a free download on iTunes. Just saw the first episode — Pilot. It was very intriguing, I believe. And .. few minutes before the end credit – I like the way Dan looked towards Serena in the cab on their way back home — it was kinda touchy. Sometimes you can even talk millions without saying a word. I really wanted to see — what was going inside Serena’s head? Just a wild thought, when can we start reading someone else’s … thought? I have insomnia not because I have trouble with my life but I want to see more and more, where do I get time to sleep, you tell me? If you could peer far enough into the night sky, you’d see a star in any direction you looked. When would you sleep? Adrift in the vast dark expanse of the night sky, alone with the stars, numerous and far from reach as are the desires of my heart. Blissful cool breeze caresses my face as I shut my eyes, lost. A distant owl hoots, its time has come. 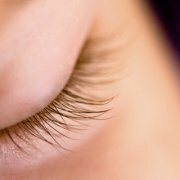 Does sleep matter? Hmm. I see you crawling to get between the sheets. Well, but I’d recommend a good night sleep .. It is godsend, it is! And then, something crossed my mind … do you remember this one? What did I choose when it comes to sleeping? Watching movies is one of my favourite [I mean it] pass time. Each movie I see (mostly, dramas, romantic comedies … like When Harry met Sally) … that moves me so much, I could never move, just after the end of the movie … specially, when credits are on the run. I really love those soundtracks played while the credits are on. You know what, they are so perfect for that moment. I still can remember watching one of my favourite movie, Bed of Roses for the first time, got stuck with one of it’s soundtrack. You are clever! 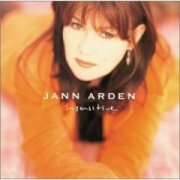 Yes, it was Insensitive by Jann Arden. So soothing. Usually I don’t tend to miss Mary Stuart Masterson‘s movies. I like her a lot. The best part is yet to come. When I bought that soundtrack’s CD last to last year, hoping to get that Insensitive track. Surprise, surprise! The song was missing from that cd. I had to buy Jann’s original Living Under June! Few years back as I was traveling through NYC Metro, a small billboard attracted me. It was made by Barnes & Noble for promoting poem books. The poem beneath was on the billboard. Yes, you have guessed it right, it was from William Carlos Williams! It is one of that memorable poem which I imagine began as a note typed to his wife, which turned into a poem. Was it a fair trade? — this poem for the plums she was saving?? What do you think? Many people have endorsed this poem as one of those greatest romantic poems on earth. Seems so simple but enticing!